"April was so extremely helpful event during the event; Above and beyond what she was asked to do. She even made sure that Josh and I had a plate of dinner and that I was calm and collected. The Photo-Booth, with April running it was the best part of my wedding. I think the DJ was good…but the Photo-Booth as an absolute hit. The pictures were great. Our friends and family loved it so much. We now have a great album of memories. I wish I would have had more pictures of Josh and I in there in the beginning because once the party was rolling we were caught in meet and greet. Setting up a little later was definitely a plus because by the time the booth opened, everyone was drinking and having a great time being silly." "The services were exceptional and exceeded our expectations and April’s help was invaluable. Thank you for everything." "When I met with Larry & April, they were professional, yet relaxed. From the first day I met with them, I knew I did not have to look any further. DO NOT CHANGE A THING!!! You guys were absolutely amazing. You did so much more than just play music. You were such an important part of making sure that everything ran smoothly and that our special day was perfect. You were so helpful and polite. I could not have asked for anything more. You guys went above and beyond. Thanks for everything." "The service was an exceptional value and April’s assistance was invaluable; she was so very patient and helpful. Even the dinner music was spectacular. It was wonderful not to have to oversee or micro-manage the music and MC. We loved that we gave him a theme and it was executed perfectly. It even got Cameron’s great grandmother up and dancing, oxygen tank and all, during the reception. "I absolutely loved Larry and his friendly personality. He was always ready to help with anything. April is precious and was very willing to help me with final details. From the first moment I spoke with Larry, I knew I was gong to use A & A. He immediately answered my questions and gave me great advice as well. Larry treated me like a friend, not a customer. Our DJ Jeff was amazing. He was so kind and helpful with the whole day. He made the reception run smoothly and he was even able to get my grandparents on the dance floor, which was one of the highlights of my day." "We met with Larry and felt really comfortable and knew right then that he was the guy to go with. I was really happy with everything. I can’t begin to tell you how much we liked and enjoyed our “Love Story.” All of our guests felt the same way. The way you incorporated both of our stories and added the music to it was amazing. When asked what the highlight of our day was, we respond with the ceremony, and our “Love Story.” It was such a nice way for our guests to get to know us as a couple. Thank you for doing a phenomenal job." "The services we received far exceeded our expectations. Working with April was like working with an old friend – she put me completely at ease. I realized that Tracy (our DJ) and Jo Stanley (our director) had worked together many times, so I just left everything up to them and it was flawless. She, along with one of your previous brides (Laura Harbin Stern) had recommended A & A to us. It was such a great party. Tracy was great at keeping the energy gong by the sequence of songs. Other than that, I don’t have much more details that I can add because I was too busy having a fabulous time. Which means that you guys did your job splendidly. Thanks." "We felt that the value of the services we received was exceptional and April was extremely helpful. The price was good and we were very pleased with how helpful the staff was during the planning stages of the reception. Our day was great. The only thing we wish was different was that we wish we had had more time to enjoy the party! Everyone was so great and we are so pleased with our choice of your services." 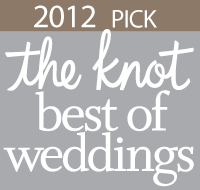 "The staff was polite, helpful and seemed almost as excited about our wedding as we were. At first we were drawn by the reasonable pricing, then after meeting Larry & April we knew we had a good match. I could tell that they were invested in my wedding rather than “making a sale.” Excellent service. We got exactly what we wanted." "The service was a good value and April as extremely helpful." "The assistance from the office staff was invaluable and we definitely felt that the value of the services we received exceeded what we were charged. We were attracted to their professionalism, pricing and organization, and having an “in-house” planner available was extremely helpful." "The list of all the ways we could personalize the reception was invaluable, and you guys know you are amazing. Honestly, you guys made the reception; from the great suggestions to help personalize our event to the music selections. It was the best night of my life. I’m still getting emails from guests telling us that it was the most fun wedding they have ever been to. Thank you both for everything you did. Our reception was amazing and you guys played a HUGE part of the awesomeness. We’ve gotten so many compliments on how personal the reception was, and Larry, you kept the dance floor packed all night." "The help from the office staff was invaluable. The Photo-Booth was a big hit with our guests. They still talk about it. One of my coworkers made the pictures that were taken of folks from my office into her wallpaper. We love our photo album – it was much bigger than we expected. Of course, the only draw back was that it did seem to distract people from the dance floor. I was so grateful that we were able to extend the time when we realized that so many people still wanted to use it. Overall, it was a wonderful addition to the party and worth every penny. You might think about ways to keep it from pulling people away from the dance floor though." "The assistance we got from the office staff was great and very understanding and we considered the service an exceptional value. The reception was AMAZING! Thank you Larry, April and Tony. xoxo"
"The YMCA and Conga line were phenomenal. After meeting with Larry & April early in the year I felt that I would not have to worry about anything! Knowing they had so much experience and ability to create the celebration atmosphere I had in mind sold me. We didn’t research anyone else after that. If I could change anything at all, it would be that Chris would have gotten a hat for the YMCA. LOL. Somehow he was the last to go up for the song… Other than that, we had a blast and have had a lot of positive feedback from friends and family that they loved the songs played and everything you did. Thank you so much for your wonderful service!" "We considered the quality of the service we received to be exceptional and the office staff was very helpful. Erika and Paul were very pleased with the entire process. They were extremely comfortable with you and your staff and felt reassured that you were a reputable and professional organization." "We first met Larry at a bridal show and were very impressed with his presentation. much younger “party crowd,” but things went wonderfully. I was nervous that this (my daughter’s) wedding would not be as much “fun” because it was a much smaller and older group. It was fantastic. Everything went just the way Sarah and Matt wanted. 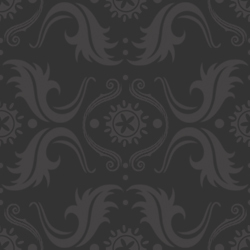 We would be glad to recommend them anytime." "Everyone we worked with at A & A was wonderful. I was very nervous about planning the wedding, but I knew our reception was in good hands." "Amazing!!! We loved working with April and Larry during the planning process. 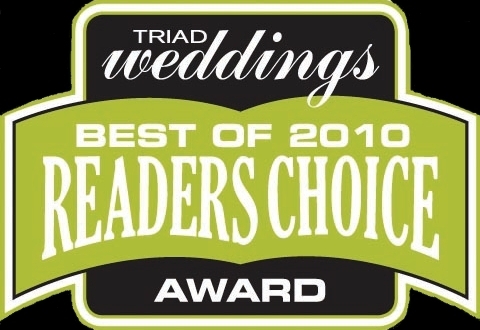 They have so much experience and were incredibly helpful, knowledgeable and passionate about their job and our wedding. We met Larry and April at a wedding show and the former bride of theirs who was with them in their booth gave them a great recommendation. We also heard about them through other wedding vendors. After we had our initial meeting, we were sold. April and Larry were very personable. They listened to what we wanted and make every effort to give us the reception we envisioned. They both took time to get to know us individually and together as a couple. That was integral to the “feel” of our reception. We were thrilled when we found out that Larry was our MC (not just a DJ, there is a difference). We insisted that April come to our reception if at all possible. We really felt like they were friends. A & A’s attention to detail and ability to relate and understand what we wanted was crucial to the creating we wanted for our wedding. The “got it” immediately. We are so lucky and blessed to have had them as a part of our wedding. It could not have happened without them. We consider them friends and would give our highest, heartfelt recommendation. We love A & A!" "The whole process was so easy and everyone was so great to work with. We were very happy with our event." "We were extremely happy with our DJ/MC services. April worked prior to the wedding with the bride and Tony was our DJ/MC chosen to handle the ceremony and reception. He was extremely nice, very professional and had the whole event under control at all times. 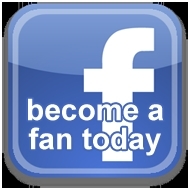 We are very appreciative of the service and highly recommend A & A for a fun filled event." "Everyone in the office was very helpful and responsive. All of the services were very organized and prompt. Everything was great!" "They were always prompt in calling me back and willing to answer any questions I had. I felt like the red carpet was rolled out every time I called. Everyone loved what you did with the introductions and Tony made the reception. Everyone loved him and they are still talking about his performance. We appreciated the time Larry and April took with us when we met with them the first time. They were very approachable and we could tell they wanted to make sure all of our desires were met. We wanted a fun reception that involved the guests and for events to flow smoothly. Tony was absolutely wonderful. It was a fun, happy reception – perfect. Lots of cherished moments." "Everything was “above and beyond!” I felt completely confident and had no worries. 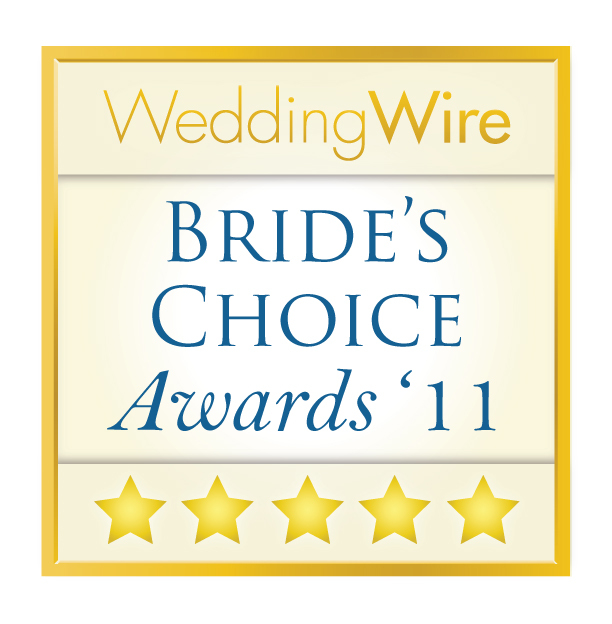 We were beyond pleased with the service that was provided at our wedding! Everything flowed amazingly which kept our guests entertained and involved. Tony was so personable and upbeat. All of the wedding guests and ourselves have continued to praise your company. It was awesome and we will recommend A & A Disc Jockey Service to others!!" 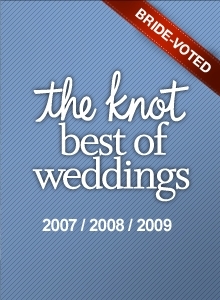 "After I talked to Larry the first time, I asked Kim at the Marriott and your service was very highly recommended. Your professionalism impressed us. You helped us think of everything we didn’t think of. We appreciated the professionalism and willingness to work with us, tell us about the venue before we could visit it, pick out music requests, etc. Larry & April met with Elizabeth and me months before the wedding. Elizabeth recognized the passion they had for their work and knew after that meeting that A & A was the service she wanted. You guys were great from beginning to end. We had great feedback from the guests about the DJ/MC. Kudos!! He read the crowd and played the perfect music. We could not have asked for a better DJ, or a better party. A friend of ours had attended a wedding at which A & A had provided the entertainment. She had attended many, many weddings and said that “hands down,” the A & A wedding was the most fun wedding she had ever attended. When we met with Larry, we saw the comments from the Mauro wedding, which was the one our friend had attended. Our “Party Animal” did a wonderful job of keeping our event on schedule and made sure that all of the traditional wedding activities happened flawlessly. This was wonderful, but not the most important thing to us. When we met with Larry, we explained that the most important thing to us was that everyone at our wedding felt welcomed on the dance floor. We had a very diverse group of friends and family n attendance and did not want any of them to feel left out. Larry made certain that the music was inviting to all of the age groups and various nationalities that were at our wedding. The dance floor was always packed and over 90% of our guests stayed until the last minute. We had a 7 hour reception, after a 5 hour gap between the ceremony and reception, and still had to hit the lights to get everyone off the dance floor at the end of the night. We wanted all of our guests to leave our reception having had the best time of their lives. Thanks to A & A, we got our wish.